The Sonny YG is comprised of three linked rings of 18 yellow gold, one of which is detailed with white full cut pavé-set diamonds. 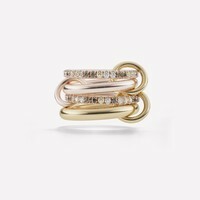 The rings are joined by two connectors of 18k yellow gold. 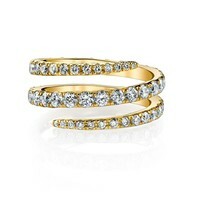 3 rings- 18k yellow gold Diamonds- white full cut pavé-set diamonds (approx. 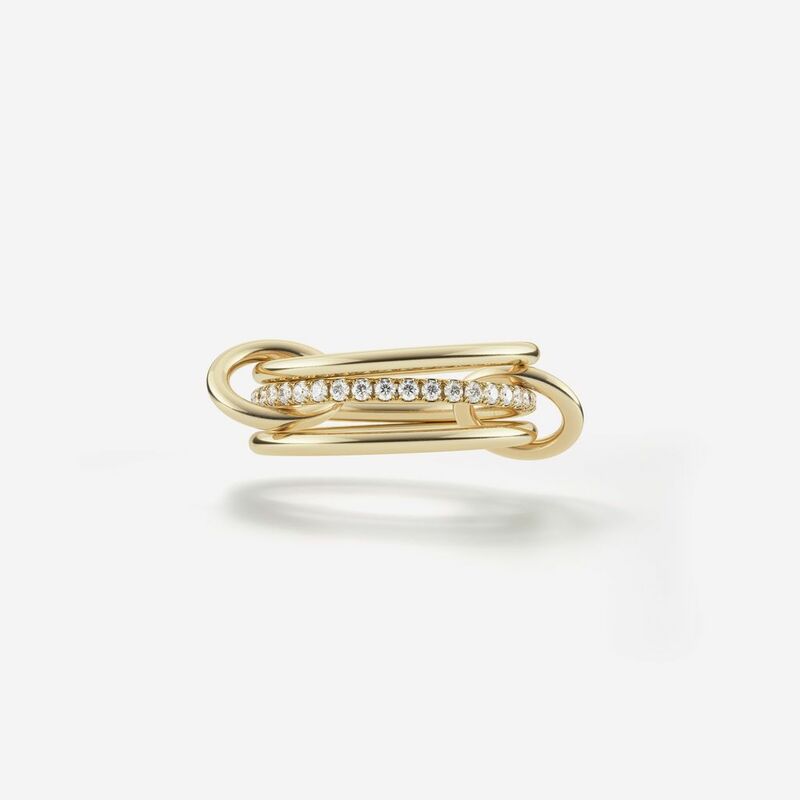 0.5 tcw) All connectors- 18k yellow gold Created in 2015 All of our jewelry is individually made to order in Los Angeles, so please allow 3-4 weeks for delivery. Spinelli Kilcollin uses only conflict-free diamonds.